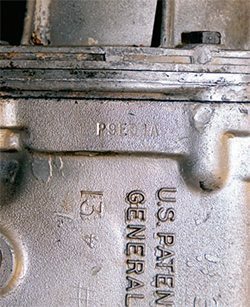 Pontiac’s transmission offerings for 1964–1974 GTOs were similar to the transmissions offered in other Pontiac and GM models. Transmis­sions were sourced from Muncie, Saginaw, GM’s Hydra-Matic Division, and even Dearborn (Ford). In addi­tion to 3- and 4-speed manual trans­missions, Pontiac also offered 2- and 3-speed automatic transmissions. When the GTO arrived in 1964, three manual transmissions were available: the standard Muncie 3-speed manual, an optional wide-ratio Muncie M-20 4-speed, and a close-ratio Muncie M-21 4-speed available only with 3.90:1 gears installed at the factory or with dealer-installed 4.33:1 gears. (There has been speculation as to whether the close-ratio 4-speed was actu­ally installed in any 1964 GTOs, even though it is listed as available.) 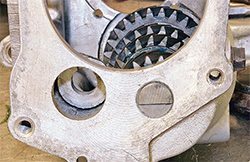 All manual transmissions used a 10.4-inch clutch featuring a single dry-friction plate, bent-finger dia­phragm spring, and a 2,350-pound spring-loaded pressure plate. The clutch assembly was housed in an aluminum bellhousing, which also mounted the transmission. The sole automatic transmission choice was an upgraded version of the 2-speed Super Turbine 300 that was available in the Tempest and LeMans series. The transmission was mated to the 215 inline six (I6) and the 326 and 389 V-8s in the Gen­eral Motors A- and B-Body cars. 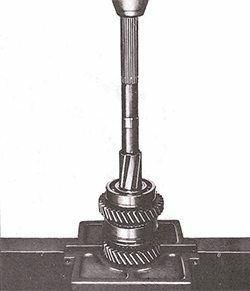 This 2-speed transmission was slotted into various models in the Buick, Oldsmobile, and Pontiac lines. The ST300 has a complex multi-angle torque converter and front and rear clutch packs. A planetary gear set, front band, and a clutch pack were dedicated for manual low gear and reverse. The transmission weighed 152 pounds, and it shifted from low to high gear at highway speeds. Though often mistaken for the Chevrolet Powerglide automatic, it is in fact a different transmission. Both transmissions have a certain level of similarity, but they are dif­ferent designs. 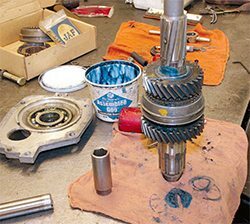 Compared to other transmis­sions offered by competing manu­facturers, such as Ford’s C4 3-speed automatic and the clearly superior Chrysler 727 TorqueFlite, the Super Turbine 300 transmission sent per­formance enthusiasts straight to the manual transmission choices. His­tory has treated the Super Turbine 300 very kindly and because of its design and wide gear ratio, but not many owners opt to rebuild the Super Turbine 300. Instead, many GTO owners install a Muncie or Turbo 400 if using a period-correct transmission, particularly with non-numbers-matching cars. 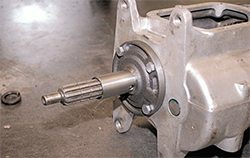 The transmission offerings were revised in 1965. The Muncie 3-speed manual was replaced with a Ford-built Dearborn Toploader 3-speed. This transmission is the strongest manual transmission ever put in a GTO and required a new trans­mission bellhousing to mount it. This transmission lineup continued unchanged through 1966. This Turbo 350 was originally installed in a 1975 LeMans, but it somehow found its way into a 1971 GTO. These transmissions have a long history of performance and durability, but of course, it’s a non-numbers matching GTO, so it does not enhance the value. Unless you are a concours-style restorer, having a later-model transmission in your GTO is perfectly fine. This transmis¬sion will eventually be rebuilt with high-performance internals, given a slightly looser converter and re-installed. If you do decide to put a higher-stall-speed converter in your transmission, consult the manufacturer. Choosing too loose a converter hinders drivability and generates a lot of additional heat, which necessitates an auxiliary transmission cooler to prevent damage. 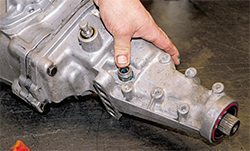 If you are looking for a transmission, be sure to get one with the proper Buick- Olds-Pontiac (B-O-P) bolt pattern, so the bellhousing easily bolts to the engine. Fortunately, the B-O-P bolt patterns is very easy to distinguish. The Chevy transmission features a bolt pattern with a triangular-shaped top (right), while the B-O-P version features a concave-shaped (left). Why the difference? The reason goes back to the 1940s, when the GM divisions were much more autonomous. 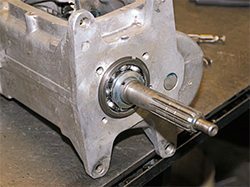 The Powerglide was developed for release in the 1950 Chevys and used the same bolt pattern as the manual-transmissioned cars. Likewise, the Buick Dynaflow and Hydra-Matics were developed to bolt up to the existing Buick, Oldsmobile, and Pontiac engines of the day, which used manual trans¬missions and shared common bellhousing patterns. The manual transmission lineup remained unchanged for 1967, but the performance-sapping Super Tur­bine 300 was finally dropped from the GTO lineup with the introduc­tion of the legendary M-40 Turbo 400 HydraMatic. An extremely strong and durable 3-speed automatic, it was introduced in the 1964 Cadillacs and in the full-size offerings of other GM brands the following year. It fea­tured gear ratios of 2.48, 1.48, and 1.00:1. 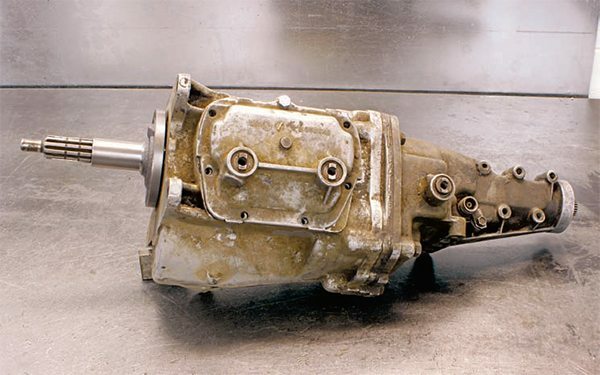 The Turbo 400 is still regarded as one of the greatest transmissions ever developed, and even nearly half a century after its initial release, GM is still building the 4L85-E, a com­puter-controlled overdrive version of this transmission. 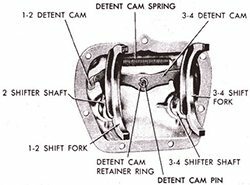 These basic transmission offer­ings were retained without changes other than coding until the 1970 model year. It was then that two sig­nificant changes were made. First, the introduction of the 455 HO V-8 required the substitution of a larger 11-inch clutch with an effective 2,750-pound pressure plate to handle the additional torque output of the long-stroke engine. It was similar in design to the standard 10.4-inch ver­sion. Only the 455 engines received the larger clutch. The second major change was the retiring of the Dearborn Top­loader 3-speed manual transmission. 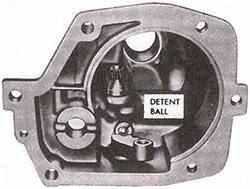 The new base transmission was a Muncie heavy-duty 3-speed manual transmission that was related to the Muncie 4speeds. The 1971 transmissions were the same as from previous year, except that the M-21 close-ratio 4-speed transmission was replaced with a stronger version of the Mun­cie close-ratio gearbox the famous M-22 “Rock Crusher” 4-speed. It was the strongest 4-speed manual ever installed in a GTO. This lineup remained unchanged in 1972. In the interest of fuel economy and emissions, some more restric­tive changes were made in 1973. The close ratio M-22 was dropped, leav­ing the wide-ratio M-20 as the only 4-speed transmission. Additionally, the optional 455 4-barrel V-8 was available only with the M-40 Turbo 400 automatic. With the GTO moving from the A-Body platform to the X-Body, the transmission choices mirrored those available in the rest of the Ventura series and continued to use the 10.4- inch clutch system. The Muncie manual transmissions were replaced with lighter-duty Saginaw transmis­sions. 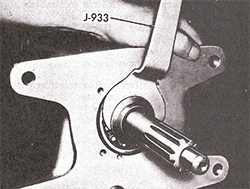 The Saginaw M-13 3-speed was now the base transmission, and a Saginaw wide-ratio 4-speed was given the M-20 designation. The Turbo 400 used in previous years was replaced with the more compact M-38 Turbo 350 automatic. The transmission in your GTO may not be the original one from the factory. Many failed in the line of duty and were replaced under war­ranty or were swapped out later. 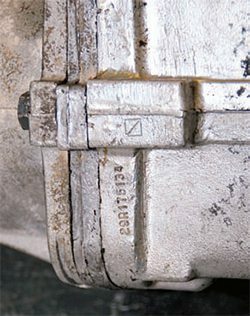 If your car is a numbers-matching example and you are doing a con­cours-style restoration, then reten­tion and rebuilding of the original transmission is a priority, especially if it is a manual transmission, which not only has the application code, but also the VIN of the car stamped on it. As long as the case is in good condition, everything inside can be replaced without detracting from the car’s value or hindering authen­ticity with regards to judging. Cars equipped with automatic transmis­sions are not judged as stringently as cars fitted with manual tranmissions, though the application code must be correct for the car to be considered numbers matching. If your car does not have its original transmission, it is still worth restoring and certainly it’s less of an issue if the GTO is to become a regular driver. 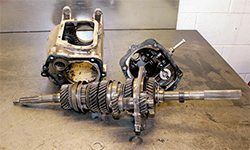 If the transmission you have is in good working order or is at least rebuildable, you can save quite a bit of money working with it. For example, if your GTO has a later BorgWarner Super T-10 out of a Trans Am, or your 1965 Goat has a Turbo 350 instead of the 2-speed automatic, it really isn’t a problem and if you don’t want to search out a correct transmission that might actually hurt its drivability, it is perfectly acceptable to work with what you have. The Turbo Hydra-Matic is one of most prolific and highly regarded automatic transmissions of all time and certainly the GTO helped further its performance record. The Turbo 400 offered a breakthrough in performance from its predecessors and became favored among racers and hot rodders. Whether on the street or track, drivers could run larger and stickier tires and put the transmis­sion under more stress, and it kept coming back for more. The Turbo 400 transmitted the power from 400 and 455 GTOs, but this legendary transmission also handled the shifting duties for many Buicks and Cadillacs. 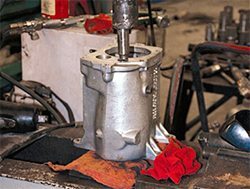 A huge aftermarket offers every component for this transmis­sion including torque converters, gear sets, gaskets, seals and bear­ings, so this transmission can be set up for virtually any application. 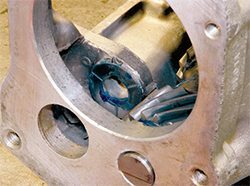 You can find a wide range of high-performance parts, such as flexplates, planetary parts, torque converters, bellhousings, cases, and valve bod­ies. The Turbo 400 can also be rebuilt at home, but there isn’t time or space to cover all the specifics here. 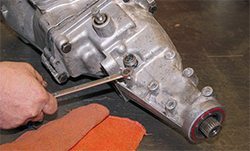 How­ever, the entire rebuilding process of the Turbo 400 is covered in How to Rebuild and Modify GM Turbo 400 Transmissions by Cliff Ruggles. A myr­iad of businesses offer every kind of performance part for the Turbo 400. Among the many reputable shops is TCI Transmissions and Cliff’s High Performance. 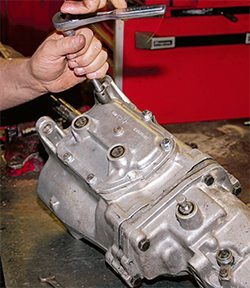 When you need to upgrade your transmission, you can improve the one you have for better performance or you can swap in a newer, more modern unit for the advantages of better technology, strength, and an overdrive gear. 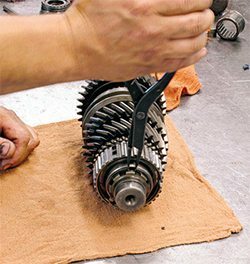 Most transmission manufactur­ers and remanufacturers offer shift-improvement kits, high-performance clutch packs, high-strength bands, and other components to increase transmission performance and dura­bility. Additionally, a higher-stall converter can also be added without causing a visually incorrect situa­tion. All of these upgrades can add up to a very noticeable performance gain. If you are restoring a numbers-matching GTO, this is a normal and accepted regimen that won’t cause any deductions in points. If you are not restoring a num­bers-matching GTO, or not other­wise concerned with originality, you have many more options. 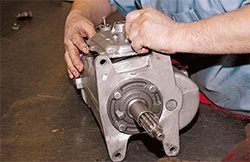 Replace­ment transmissions are as close as your local rebuilder or a larger company, such as TCI, B&M, or other manufacturers. They are also stocked by Summit, Jegs, and other larger performance parts retailers. 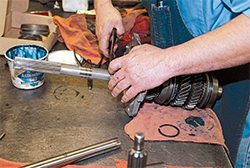 You can have a transmission custom-built to your specifications and price range, often cheaper than doing it yourself if you figure in the cost of the spe­cialized tools needed to do the job. 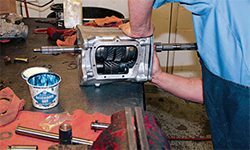 If you already have the skills and tools to rebuild a transmission your­self, great. Otherwise, it is perfectly acceptable to buy one ready to go. 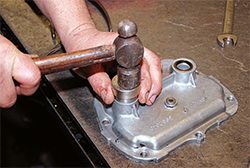 Again, if you are inexperienced in the area of transmission rebuilding, have a reputable builder prepare your transmission. 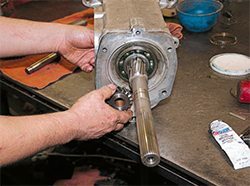 If you have a 1964–1966 GTO that came with a 2-speed Super Turbine 300 automatic and aren’t doing a concours restoration, a time-honored, inexpensive, and very easy swap is to replace that substandard 2-speed slushbox with a vastly supe­rior Turbo 350 automatic out of a 1968 or newer Pontiac A- or F-Body. While not quite as beefy as the larger Turbo 400 in stock form, it does have less parasitic drag and it swaps into these early GTOs with minimal effort, using the existing crossmember and driveshaft without alteration. It is an option well worth looking into. If strength becomes an issue with your combination, beefed-up versions take up to 700 hp, so you’re not really los­ing anything by using one. Another option that makes a lot of sense with street-driven GTOs is to use an automatic overdrive transmission. Even if your car does not have aggressive gears, it is still advanta­geous from fuel economy, engine longevity, and highway comfort standpoints to have your Pontiac V-8 merrily loafing at 1,500 to 1,800 rpm at common highway speeds. If you have experienced driving a vin­tage GTO for sustained periods at 65 to 75 mph, you already know that without an overdrive, it tends to rev higher than necessary, negatively impacting gas mileage. If you’re used to later-model cars, it’s more than a little annoying; it’s like you’re waiting for the overdrive and lockup to kick in, yet it never does. Using an automatic overdrive transmission often increases the mileage to such an extent that it actually becomes a viable cross-country hauler. It is not unheard of to crack into the low- 20-mpg range with an overdrive-equipped GTO, even with 400 or more horsepower. Conversely, the use of an over­drive allows you to retain a modicum of driveability when using aggressive gears. With an overdrive of .70, a 3.90 becomes a 2.73:1, a 4.11 gear runs like a 2.87:1, and a 4.33 performs like a 3.03:1 final drive, adding a great deal of civility to a car with steep gears from the factory or for a more radical street/strip combination. If you are going for the ideal combination of fit and beefiness in a factory transmission, look for the 2004R out of a 1986–1987 Buick Grand National or a 1989 Trans Am turbo. Though rare, they can be found from used parts vendors, eBay, racingjunk.com, or even craigslist. org, if you’re lucky. These transmis­sions are desirable for two reasons. First, the Buick V-6 used in those cars and the Pontiac V-8 use the same bolt pattern, so adapting is not necessary. Second, they are strength­ened to handle the power output of the turbocharged V6s, which were actually as strong as most 1960s-era big-blocks. Many aftermarket ver­sions are even further strengthened. If you strike out finding one of those fairly rare units, most automatic transmission builders can build you one that is beefed up to handle just about any power level. Another option is to use the more common 700R4, used on many performance-oriented GM products from the late 1980s and early 1990s. Avoid units built before 1987, as they are substantially weaker than their later counterparts. They are easily upgraded with high-strength com­ponents from the later-model, com­puter controlled version, the 4T65-E, which was offered in LT1 and LS1 powered cars. The 700R4 requires an adapter plate to mate it to the Pon­tiac V-8 and the crossmember must be modified or replaced with an aftermarket unit designed for the swap. 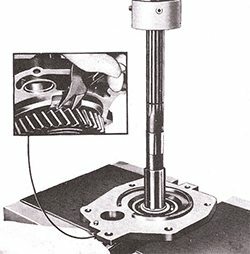 The length of the driveshaft also needs to be modified. Last, I would be remiss if I didn’t mention the 4L80-E, the late-model, computer-controlled version of the Turbo 400 automatic. This is a more complicated and more expensive alternative to the 2004R and the 700R4, but it does offer the advan­tage of a stand-alone computer that is not tied to any engine controls. The twist is that the 4L80-E was offered behind Diesel engines in Chevy and GMC pickups. Because of the Diesel engine’s lack of an ignition system, that combination needed a transmis­sion controller that wasn’t depen­dent on any engine electronics. Once this controller is reprogrammed with shift patterns suited to a carbureted V-8, this transmission becomes a very attractive choice, though it is more expensive than the others and requires an adapter and driveshaft mods to work in a GTO chassis. It may also require some transmission tunnel mods to fit, as it is physically a very large transmission. 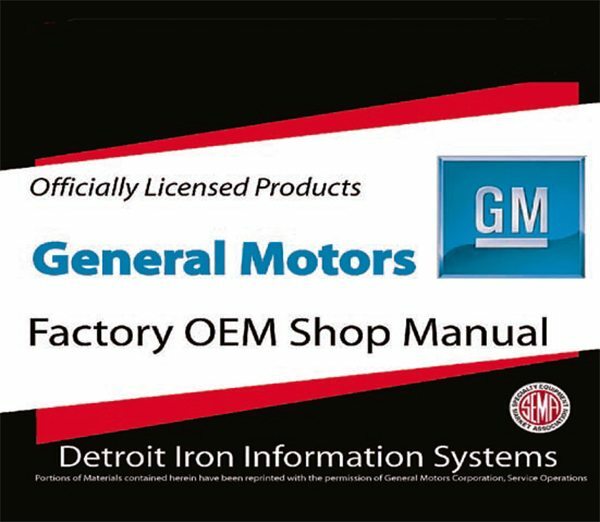 Owners of manual-transmission GTOs enjoy a great deal of aftermar­ket support, with rebuilding and exchange services available for Mun­cie, Saginaw, and Dearborn transmis­sions on both local and nationals levels. 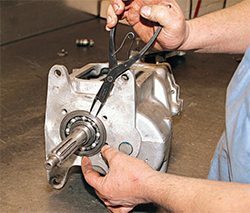 Additionally, several compa­nies restore Hurst shifters. Rather than recommend specific companies to do these operations, this is a good area to get the opinions and recom­mendations of local club members. The reasons are twofold. One, it is likely that you will find someone right in your local club chapter or your area who can do a great job for not a lot of money, or may be willing to trade out the job for parts or other non-cash consideration. The other reason is that the cast of characters is constantly changing, especially in the Hurst shifter rebuilding world. Some of the best guys only do a few each year or are not consistently available. Hurst rebuilds shifters as well, so that is an option. The regular productions codes identify an M-20, M-21, and M-22. Of the regular production codes, one particular Muncie 4-speed type appears. A properly set up M-22 Rock Crusher transmits up to 700 hp, so this stout transmission is a wise choice for high-performance applications as well as authenticity. But that is not a definitive method for positively identifying the transmission. On the edge of the main case is a number stamping that identifies the Muncie gearbox as well as state the year and month it was made. For Muncies, the serial number starts with the letter P. The serial number sequence from 1963 to 1966 started with the month and then the day of the month. For August 16, 1963, the serial number is P0816. However, from 1967–1968 the year designation was first in the serial number sequence followed by the letter for the particular month. The third digit represents the month. 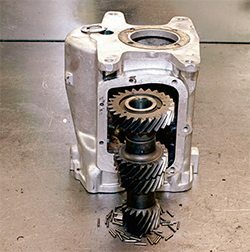 The first month in the year is A, so the third month in the year is C. The third day in the month is represented as 03 So, this gearbox reads P7C03. 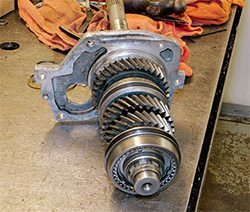 Several businesses offer high-quality rebuild kits for the Muncie 4-speed transmissions, including 5speeds.com and T&B Transmis­sion & Gear. 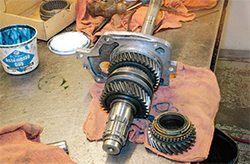 These businesses offer a full range of gears, synchros, gas­kets, mainshaft bearings, and even a full case, so you can build a Muncie 4-speed from the ground up or you can rebuild one from your GTO. T&B and 5speeds.com offers the M-22 Rock Crusher Supercase. T&B offers a complete Muncie 4-speed and it features the new Masiero Ital­ian gearsets, Muncie Supercase, super tailhousing, iron midplate, and roller bearing sidecover. Medatronics Cor­poration at 5speeds.com offers M-22 complete transmission with the fin­est components from Autogear. Like the T&B M-22, the Medatronics sold M-22 exclusively uses Masiero gears. 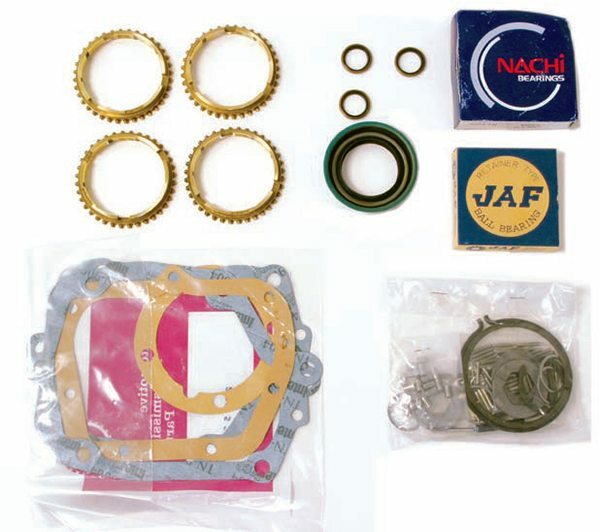 When buying a rebuild kit or an entire gearbox, be sure to buy these components from a reputable source. 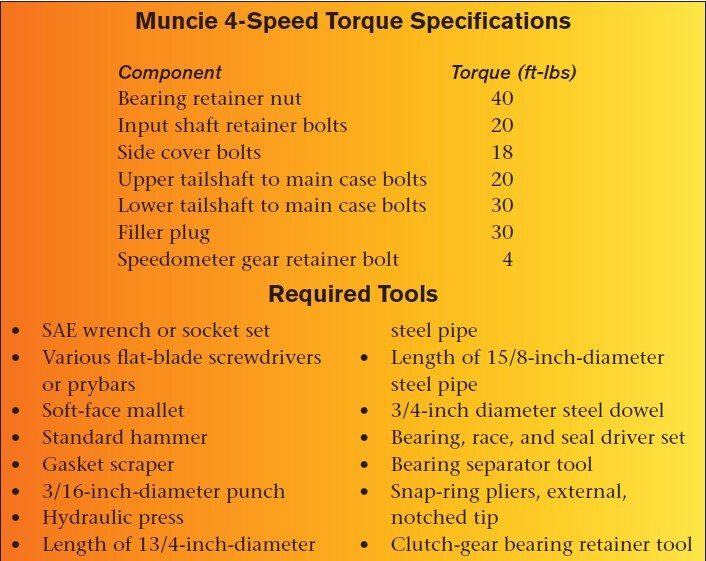 Some of the Muncie components you see Online are made to substandard tolerances and are of inexpensive materials. 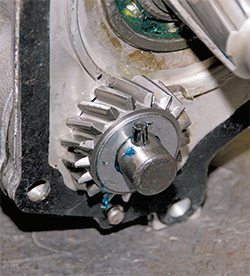 You put yourself at risk of failure if you build your gearbox with these components. If you are looking for a fifth or sixth gear for your GTO, there are two main options available. 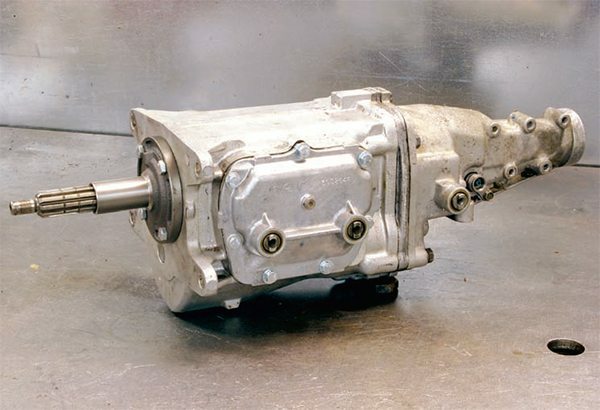 The first is the Tremec 5-speed transmission, which is an aftermarket transmission designed to be a bolt-in replacement for a 3- or 4speed GM transmission. It bolts up to a factory bellhousing and is the same overall length as a factory transmission, so this trans­mission is a viable candidate for a street-driven GTO. The other option is the Tremec T-56 6-speed manual transmission. This is an expensive upgrade for a GTO, or any A-Body for that matter. The most desirable version is from the Dodge Viper and most aftermar­ket versions use the Viper internals for higher strength. The T-56 should be considered only for a Pro-Touring style of build, as it requires extensive transmission tunnel modification. Really, a new tunnel needs to be fabricated and truth be told, you’re cutting the car up pretty well at this point. Add a custom bellhousing/ scattershield, as well as a new cross­member, and you’re talking about a big-ticket upgrade. 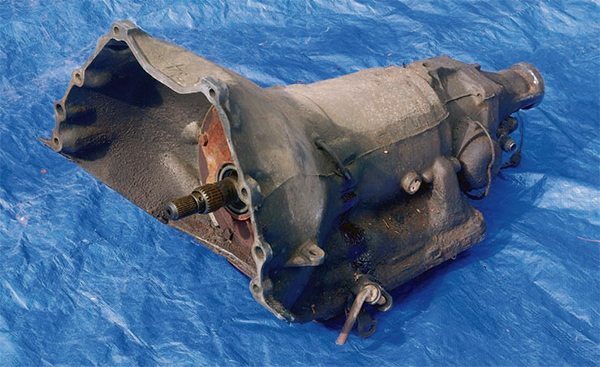 Adapting this transmission to a traditional Pontiac V-8 is possible, but if you are seriously considering it, please re evaluate your restoration mission statement, as this is a pretty serious investment and the course of your project will change significantly. A T-56 becomes a much more viable alternative if you are re-powering your GTO with a GM LS-series engine, like the original LS1 used in the 1998– 2002 Firebird/Camaro or the later LS2 used in the 2005–2006 GTO. You can buy the engine and transmission together, along with the computer system, and do it as a complete con­version. 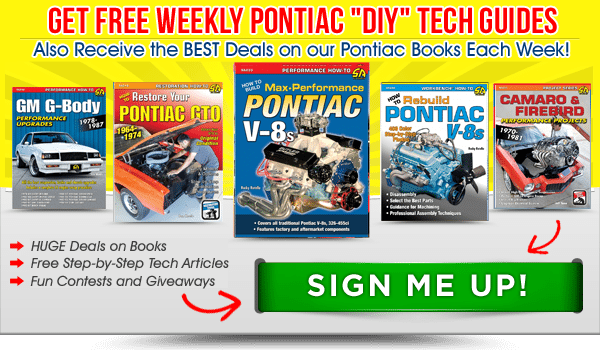 I don’t mean to upset any tra­ditional Pontiac V-8 fans who would be against a corporate V-8 transplant, but this information is included in the interest of providing a complete description of the options available. If the idea of an LS-powered GTO is appealing to you, there are other books out there that describe this path more completely.